The top priority for county and municipal officials in Maryland is the restoration of highway user revenues used to build local roads, but Gov. Larry Hogan is actually giving them $16 million less in his budget, despite promises to restore it during his campaign..
“We’re basically kicking the can down the road, ultimately it will come full circle and become an even a bigger problem,” Washington County Commissioner John Barr of the Maryland Association of Counties (MACo) warned the Budget and Taxation Committee at briefing on Tuesday. The reduced funds counties and towns are given only help them limp along until funds for essential repairs are raised. Thus, they say they are wasting money on band-aid fixes that will only last a short time. Members of MACo and the Maryland Municipal League (MML) briefed the committee on legislative priorities for the 2015 year and the upcoming 2016 fiscal year, which included the diminishing highway revenue funds. They answered that with infrastructure deteriorating, the longer the repairs are delayed the more costly they will become. Counties end up with a disproportionate amount of money going back to pay for repairs they have already made, and that in turn negatively impacts their ability to plan for the future. “The plan is on paper and you have to move it to reality, and the reality is that you simply cannot implement the plans that you have,” said MACo President Isiah Leggett, the Montgomery County executive. Bruce Wall, president of the Maryland Municipal League and mayor of Chesapeake Beach, said when not enough funds are provided, towns are forced to pull funds from other departments such as police, trash, recycling and parks and recreation programs. Barr said Washington County has resorted to tar and chip road maintenance over the more costly hot asphalt overlay. 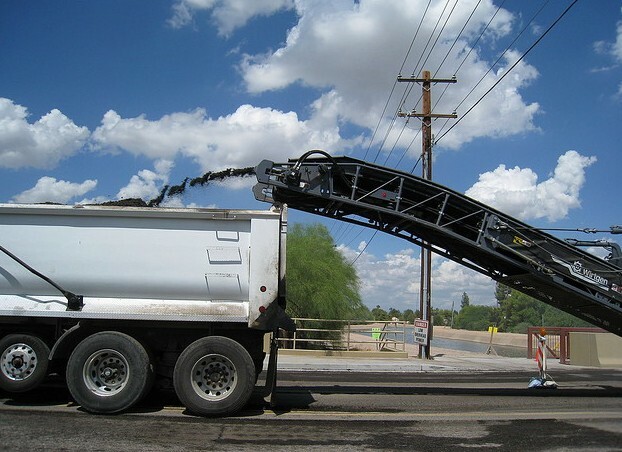 Tar and chip lasts about five years versus 15 years for asphalt. Baltimore Mayor Stephanie Rawlings-Blake asks for help but not a handout, “When it comes to funding for transportation we are on empty,” Rawlings-Blake said. When the roads deteriorate it is seen as a state problem, not a local problem.